In the evening will be carnival dance party organized by local firefighters. 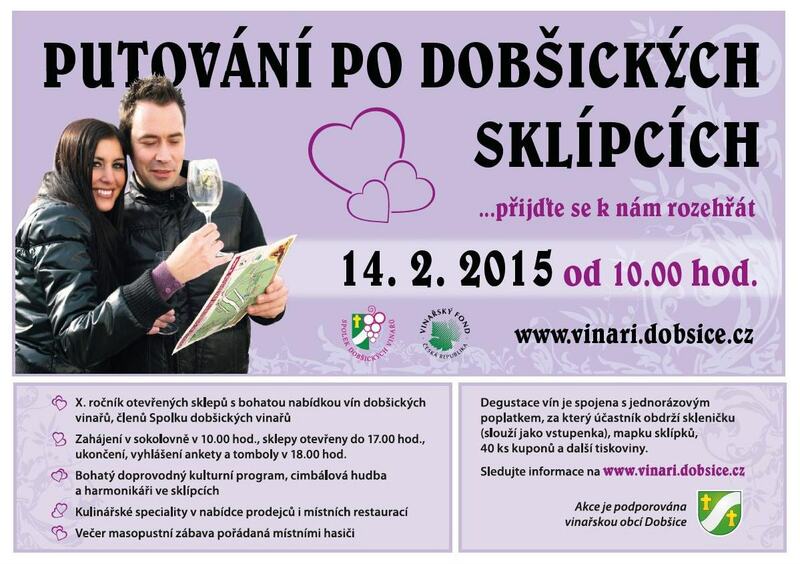 There will be a single charge for the wine tasting, for which the participant receives a glass (used as a ticket), a map of cellars, 40 pieces of coupons and other printed materials). Event is supported by village Dobšice.